SureFire Suppressors Wins USSOCOM Family of Muzzle Brake Suppressors (FMBS) Contract for Rifle Suppressors (Silencers/Sound Suppressors) and Flash Hider/Adaptors | DefenseReview.com (DR): An online tactical technology and military defense technology magazine with particular focus on the latest and greatest tactical firearms news (tactical gun news), tactical gear news and tactical shooting news. 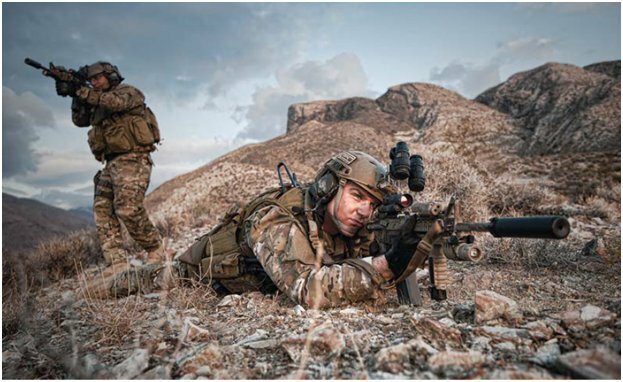 Fountain Valley, CA — SureFire, LLC, manufacturer of high-end illumination tools and tactical products, has been awarded its largest suppressor contract to date. The $23.3 million contract, for an indefinite quantity of sound suppressors, suppressor adapters, blank firing adapters and training adapters, was awarded by officials of the Naval Surface Warfare Center, Crane Division—the primary solicitation center for U.S. Special Operations Command [USSOCOM]—as part of the Family of Muzzle Brake Suppressors (FMBS) contract. The FMBS solicitation was the most comprehensive modern suppressor evaluation conducted by the U.S. military to date. It focused on criteria that subjected suppressors systems to prolonged testing on a variety of firearms platforms. SureFire suppressors were chosen based on test criteria such as: Reliability, Sound Reduction, Accuracy, Point of Impact Shift, Endurance/Durability, and Operational Suitability. 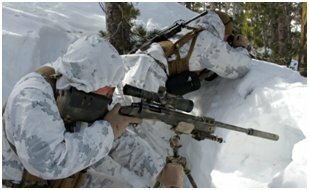 While these requirements reflect the suppression needs for firearms including the MK13 sniper rifle, the United States Marine Corps is already employing SureFire’s FA762SS suppressor system on every M40A5 sniper rifle. In 2001, the U.S. Department of Defense used the term “Signature Reduction” as a working concept mandated by the Joint Chiefs of Staff to focus on reducing the environmental sound, flash, and dust signatures produced by a firearm. So when SureFire launched its suppressor division in 2002, they focused on the Total Signature Reduction™ (TSR) of a suppressed firearm. TSR not only addresses the environmental signatures, but other key performance attributes such as point of impact shift (POI) and repeatability, which historically were deprioritized in favor of sound reduction. 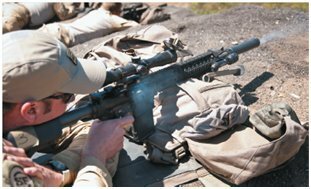 SureFire became the first manufacturer to address POI shift as a primary concern and did so without degrading attributes like sound reduction and accuracy. Most suppressors cause a shift in a weapon’s POI when attached or detached, requiring the operator to re-zero the weapon every time. With a SureFire Suppressor, the Fast-Attach™ mechanism locks the suppressor onto the firearm in the same position every time, producing a negligible, repeatable POI shift, if any at all. And SureFire Suppressors are as durable as the barrels they’re mounted on, making fulltime suppressor use not only preferable but practical. For more information on the Naval Surface Warfare Center, Crane Division, visit www.navsea.navy.mil/nswc/crane/default.aspx. To learn more about SureFire and their family of TSR suppressor systems, visit http://www.surefire.com/suppressors.